As I shared on my previous post, hubby got injured during our photography class about 2 weeks ago. Torn ankle ligament. After MRI detail scan last Friday, at Prince Court Medical Center, Dr Yeap, the specialist gave us two option..
1st: Let it heal naturally ( it's going to take around 6 weeks, plus going through physiotherapy and etc. From here, there's a chance it will be fully recovered and doesn't need any surgery, or the ligament healed with some defects, "longgar" dan mudah terjatuh again anytime bila berjalan. So if that happens, a surgery will be needed and another extra 6 weeks for recovery. Pheww~ obviously we dont want to take that chance and taking longer period to recover. 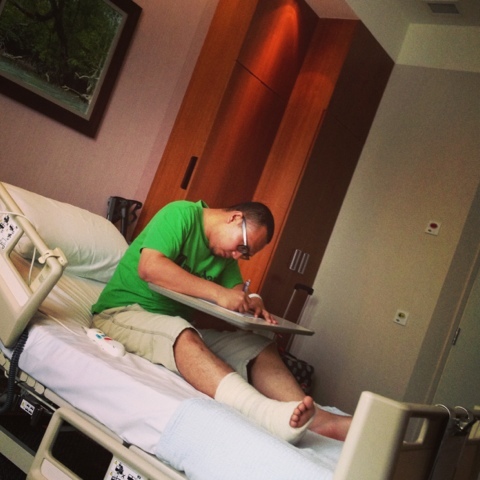 2nd: just go through surgery now, and 6 weeks recovery period plus physiotherapy and etc along the way. Fastest way and to make sure everything will be back in place again, InshaAllah. 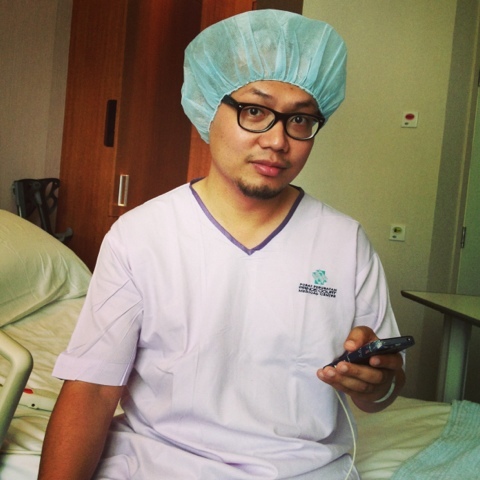 Me and hubby, Ashraf Naserudin decided to take the second option and do the surgery ASAP! 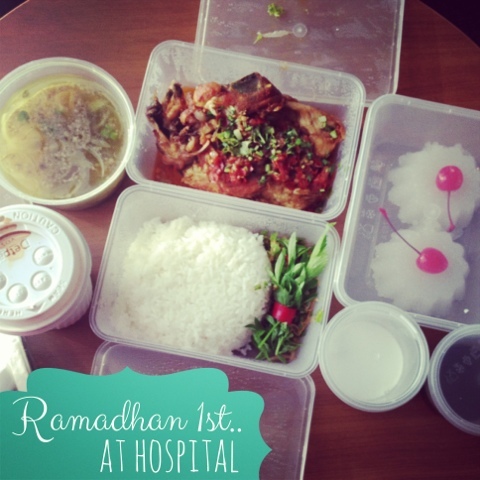 So, 1st of Ramadhan, we checked in to PCMC. Around 2pm I sent him into the operation theatre. Definitely a moment to remember, macam dalam drama tv jer kan. Ada rasa sebak sikit2, and i was waiting for him inside ward until 4.40pm. 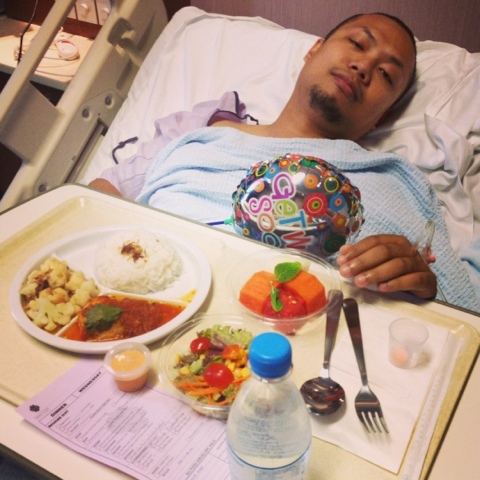 It's a long wait for me, and I just kept on praying everything will be ok.
Alhamdulillah, the operation went well. But, it was my first time..watching him so weak and in so much pain! "Berat mata memandang, berat lagi bahu memikul". 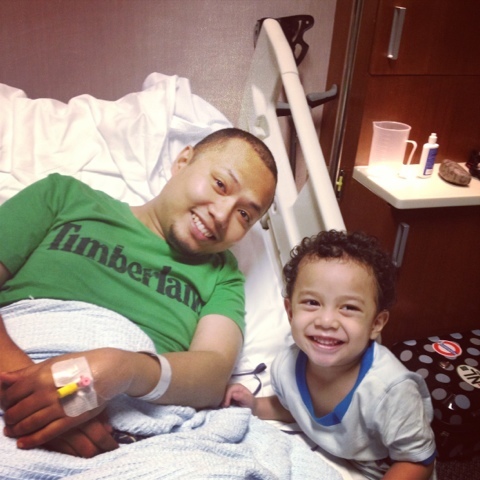 Nothing much that I can help, but giving my best to be there for him. Still remember, how he tried to open his eyes and looked at me while feeling so drowsy...with a little smile "HI by :) love you". 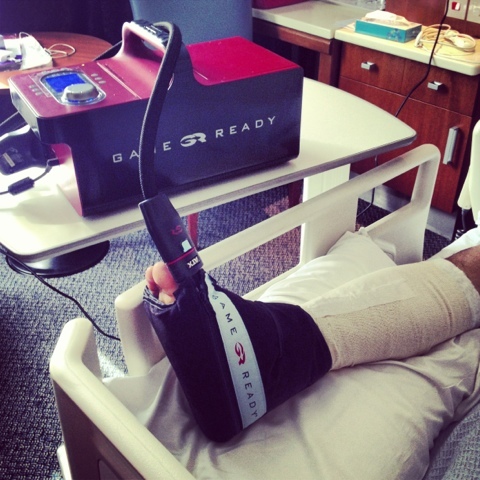 This is a machine they put on, to ease the pain, and reduce the swollen feet after the surgery. It has the cooling sensation like ICE. 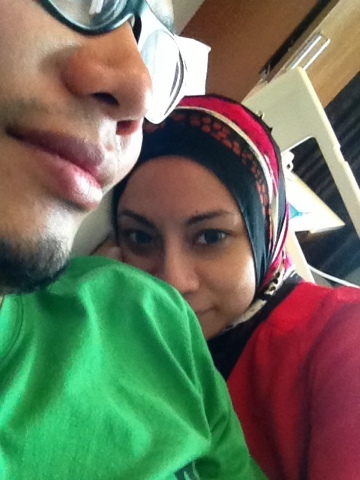 It did help a little bit, but he needed to take more pain killers nak kurangkan sakit yang amat. Later in the evening, I went down to cafe and 'tapau' some food for berbuka. Nak ikutkan hati, sedih tengok updates from everyone yang ada bermacam juadah masakan sendiri or juadah from bazaar ramadhan. But, inilah dugaan. Dan setiap dugaan, pasti ada hikmah, inshaAllah. And Thank you Allah, for everything. Ok then, it's already late at night. Hoping for a better day tomorrow for my hubby. Thank you so much everyone for the warm wishes, care and prayers. We really appreciate that. THANK YOU AGAIN!